We are leading manufacturers of Automation Industries Telescopic Covers. These covers are an assembly of sheet metal boxes used to protect guide-ways, ball-screws, motor encoders other such critical parts of machine tools from burr, chips, coolant, dust, accidental damage etc. 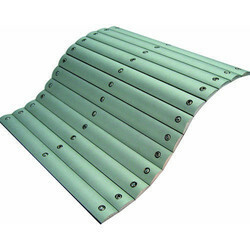 These are polished to enhance aesthetics and coated with special anti-rust chemicals. 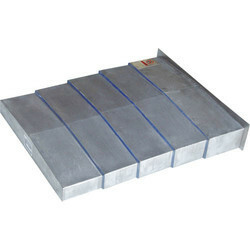 Machine Covers are Zinc plated if needed. 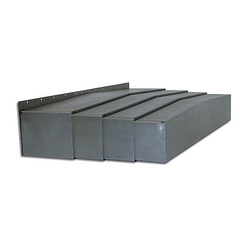 We are the leading manufacturers of Mild Steel Telescopic Covers. 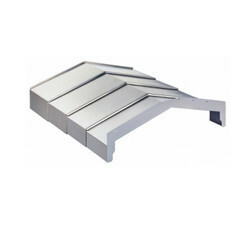 We are the leading manufacturers of Stainless Steel Telescopic Covers. 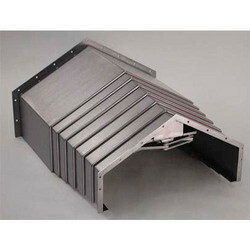 We are leading manufacturers of Metallic Telescopic Cover. We are leading manufacturers of Mechanical Industries Apron Covers. Apron Covers for Mechanical Industries made up of strips with fabric as a base. One end is fitted to moving the carriage and other freely suspended with dead weight or fitted to bed. They form the simplest type of protective cover. In conjunction with the roll-up mechanism. Apron covers can become an effective compact protection. We are leading manufacturers of Telescopic Covers.